This is a fun food craft where you can turn oranges into baskets that hold your fruit. 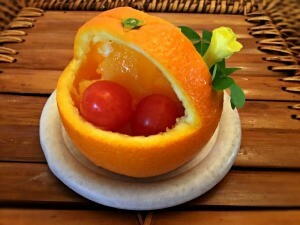 It's fun and easy and you can really get creative with your designs! I've added two styles in this how-to. 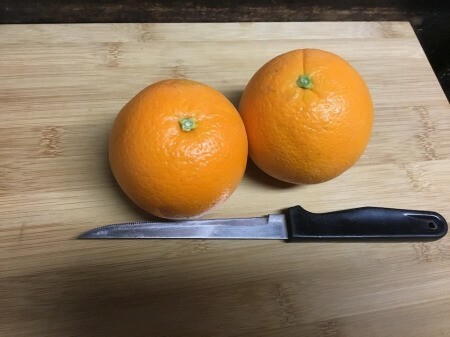 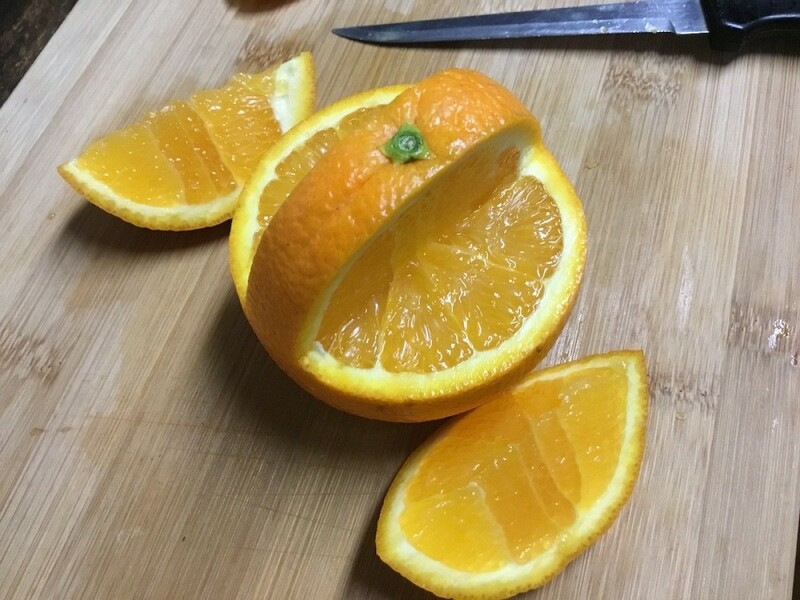 For the first style, cut the top and bottom off an orange. 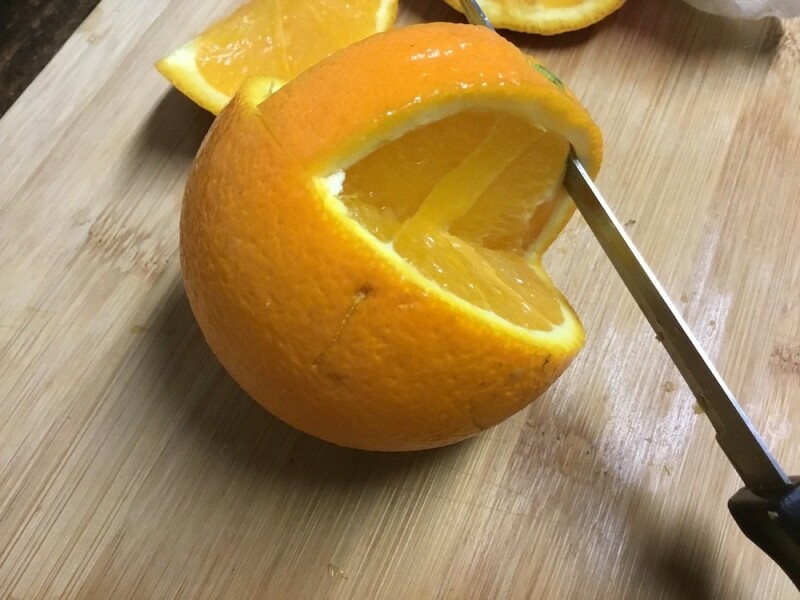 Save one of the end cuts. 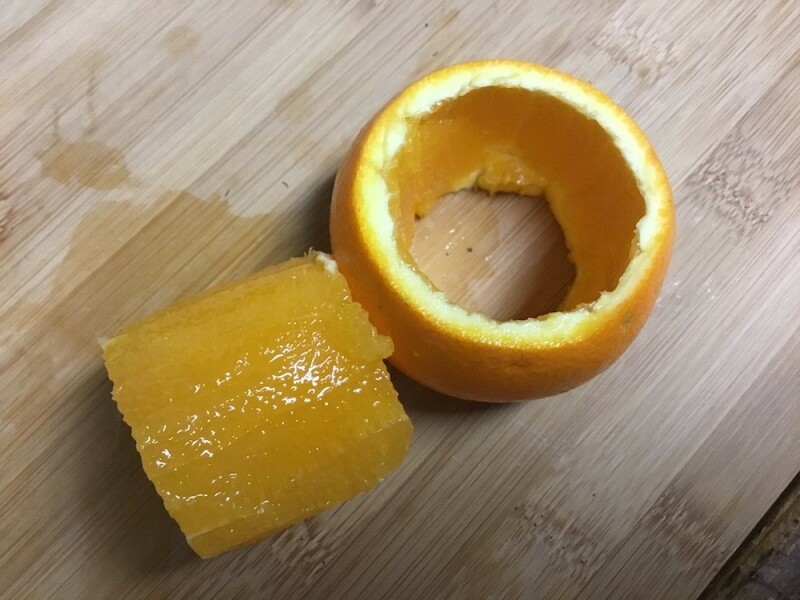 Cut a cylinder of the fruit out of its peel. 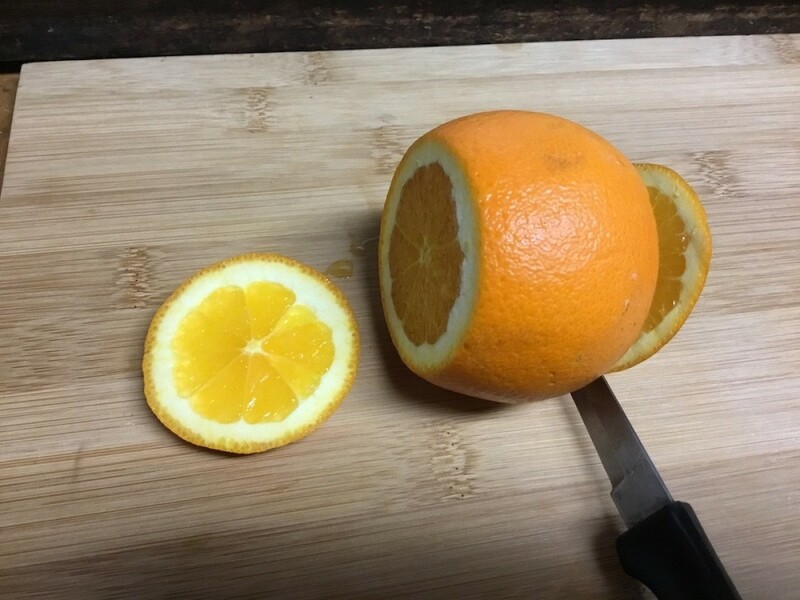 Cut little triangles out from around one side/end of the skin. 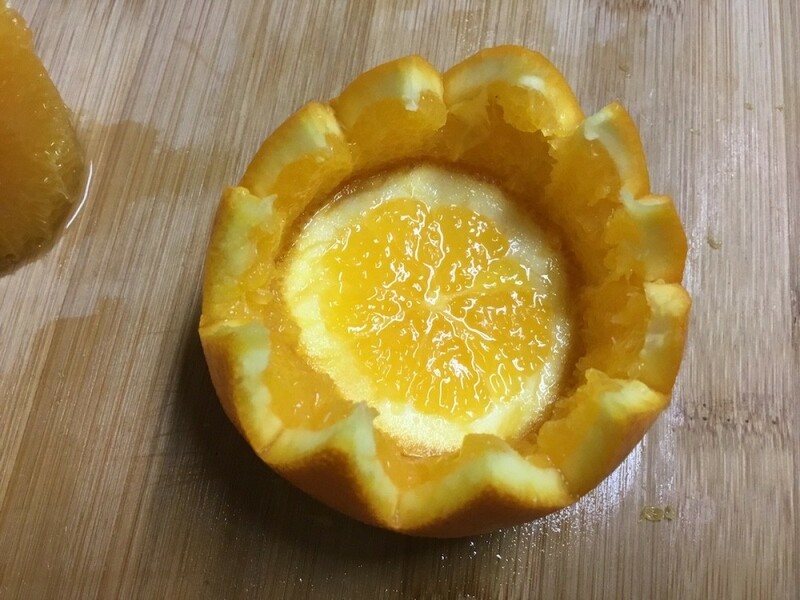 Take one of the cut ends of the orange from earlier and press it into the orange bowl until it's tight. 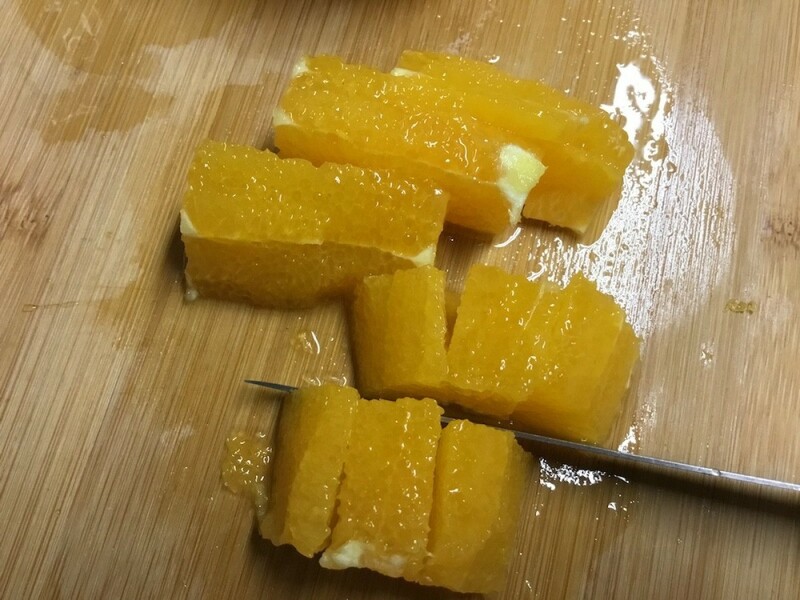 Chop up the cylindrical orange flesh into bits. 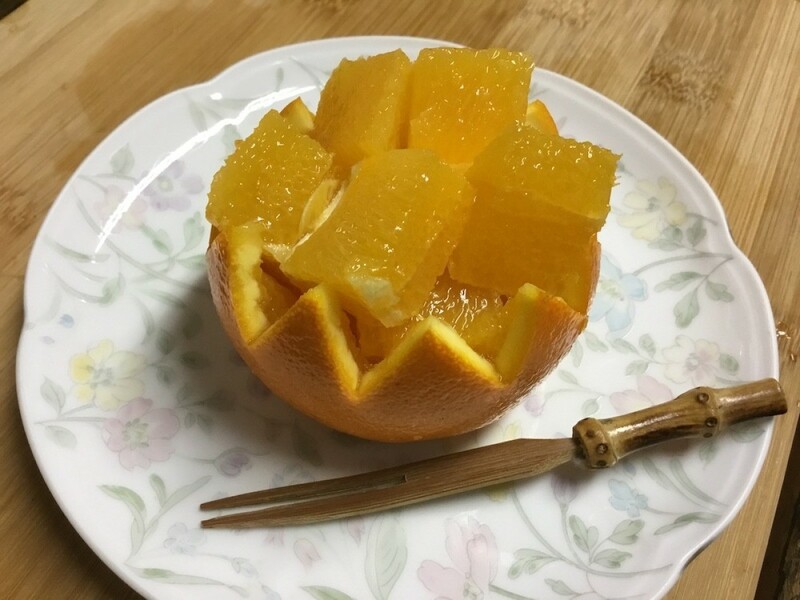 Place orange bits into the bowl and serve. 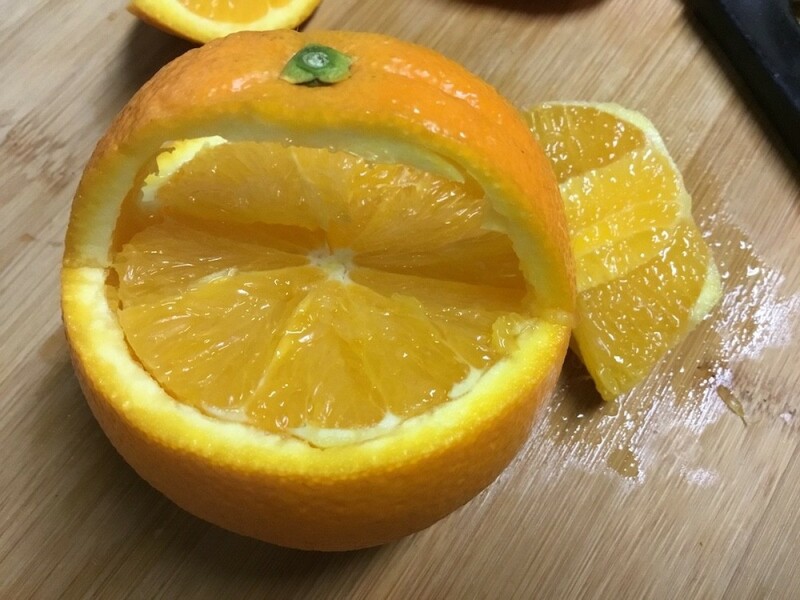 For the second style with a handle, cut a bit off the bottom of an orange so it can sit on its own. 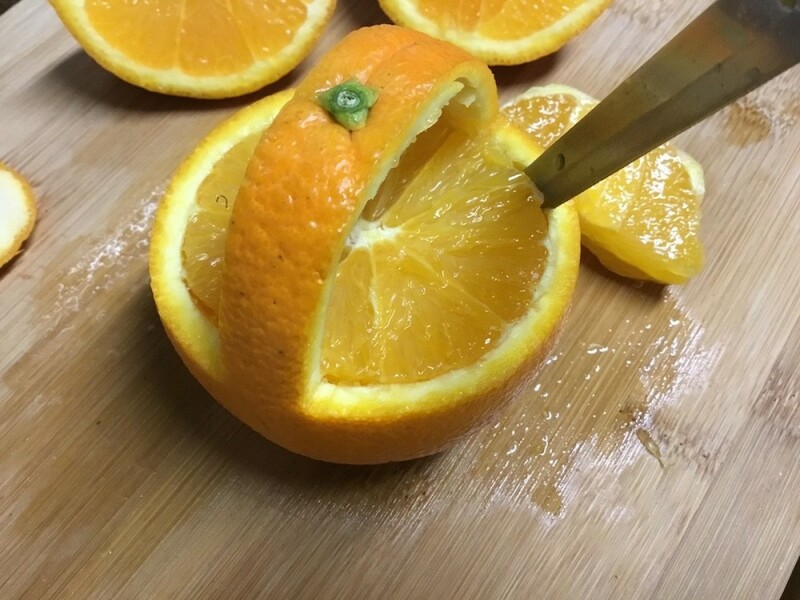 Cut a wedge out of the orange on either side of the stem right at the orange's hemisphere. 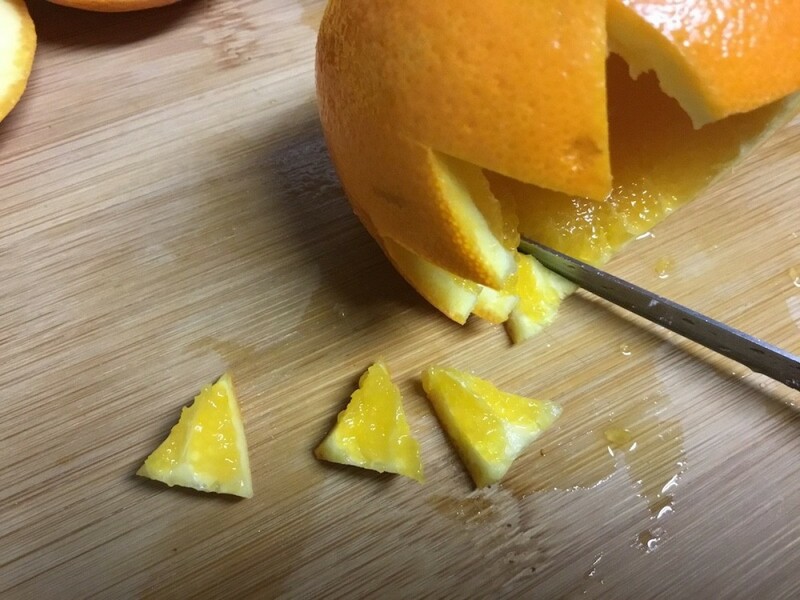 Gently cut the fruit away from the peel around the top. 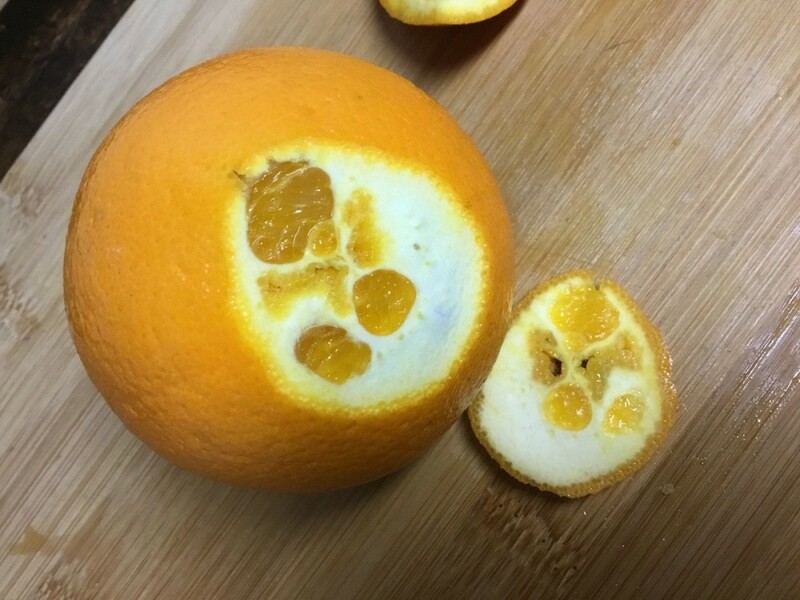 Then cut the fruit at the hemisphere and pop it out. Cut out the orange flesh from the bottom half, then cut all the orange bits into pieces and fill the basket you just made.